Now the Alpha Bakers are gearing up to start a new bake-along, one that will take about 2 years to complete as we take on the challenge of baking every single recipe on this “bible”. With all-new recipes for the best cakes, pies, tarts, cookies, candies, pastries, breads, and more, this magnum opus draws from Rose’s passion and expertise in every category of baking (oh yes, I’m going full blown with this one!) - Challenge ACCEPTED! You can find all about this new baking group “Rose’s Alpha Bakers” in Rose’s blog. Along with the requirements and contact information if you are interested in signing up. Hurry, its filling up fast and they are trying to keep it to a small group. In the meantime, I will go back to drinking a nice glass of wine and continue to mark the book with all the recipes that I want to make - which happen to be ALL OF THEM! 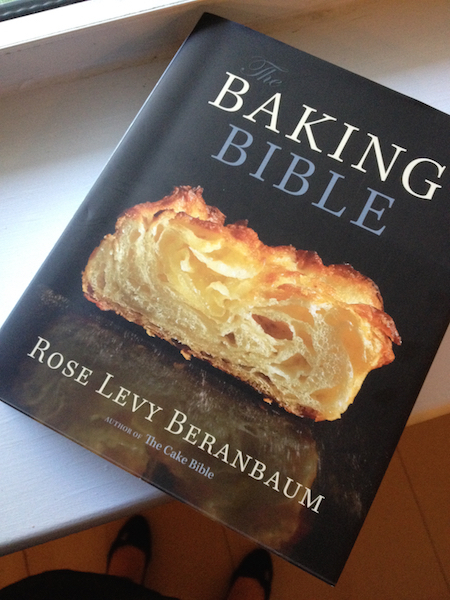 Side IMPORTANT Note: As with the Heavenly Cake Baker post, The Baking Bible (TBB) future posts will not have any recipes on them, due to restrictions in sharing the recipes placed by the publisher. Most will be my experience in baking that weekly’s recipe and sharing pictures of my final products as well as my taste test opinion. If you want to follow along, you can simply purchase the book, which frankly is a great additon to any bakers cookbook libray.